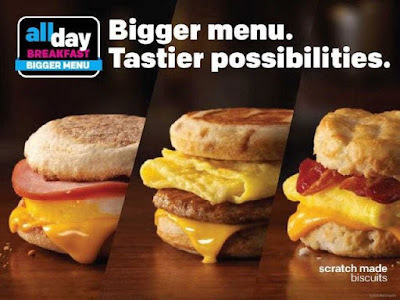 While most of us only have the option of English muffins (or only biscuits depending on geography) for our breakfast sandwich at McDonald's outside of normal breakfast hours, they're testing serving the entire breakfast menu all day at a few locations, which means you can choose from McGriddles, English muffins, and biscuits. The official name for the menu as far as the logo goes is the "All Day Breakfast: Bigger Menu" and it's being offered in the Tulsa, Oklahoma area as well as the Triad area of North Carolina. The Triad area also happens to be one of the markets where McDonald's bakes their biscuits from scratch and offers the Buttermilk Crispy Chicken Biscuit (a biscuit sandwich with a Buttermilk Crispy Chicken filet; it's basically a spiritual successor to the discontinued Southern-Style Chicken Biscuit). The only thing that seems to be missing from the "Bigger Menu" is the Big Breakfast, which is more a combo than a missing item. 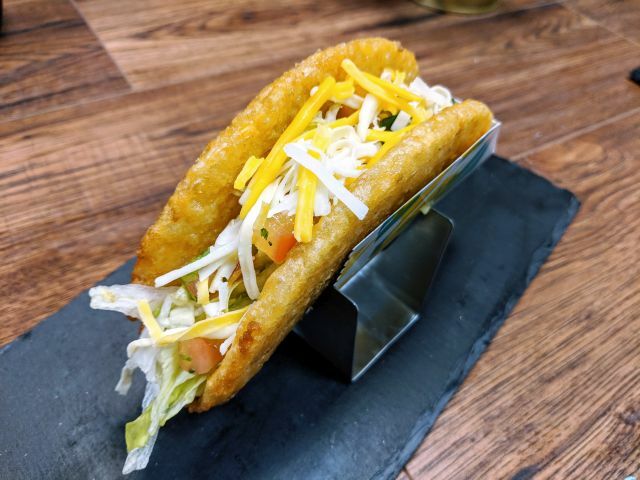 So if you've been hoping for that McGriddle at 11 PM and don't happen to live in Tulsa or the Triad area, it might happen in the near future.